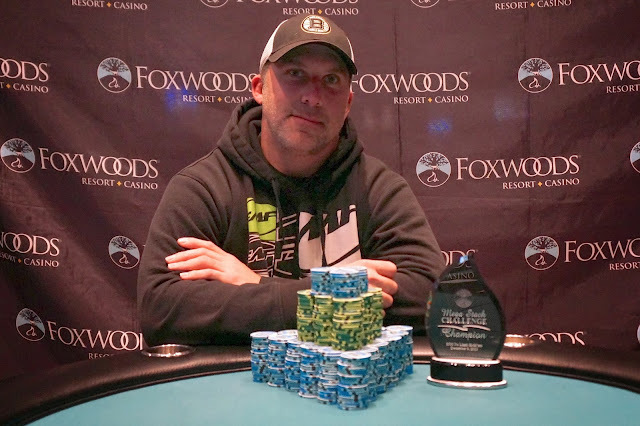 We had a total of 189 entrants in the $230 No-Limit Hold 'em Foxwoods Mega Stack Challenge. The final 21 spots will finish in the money with first place taking home $9,259. Day 2 of the $300 No-Limit Hold 'em Mega Stack Challenge Now Streaming Live! Day 2 of the $300 No-Limit Hold 'em Mega Stack Challenge is now underway. There are 36 players remaining and the average chip stack is just over 231,000. The blinds are now 8,000-16,000 with a 2,000 ante. Anthony Riggillo is the chip leader heading into Day 2 action with 606,000. You can view the full Day 2 chip counts and seat assignments by clicking here. 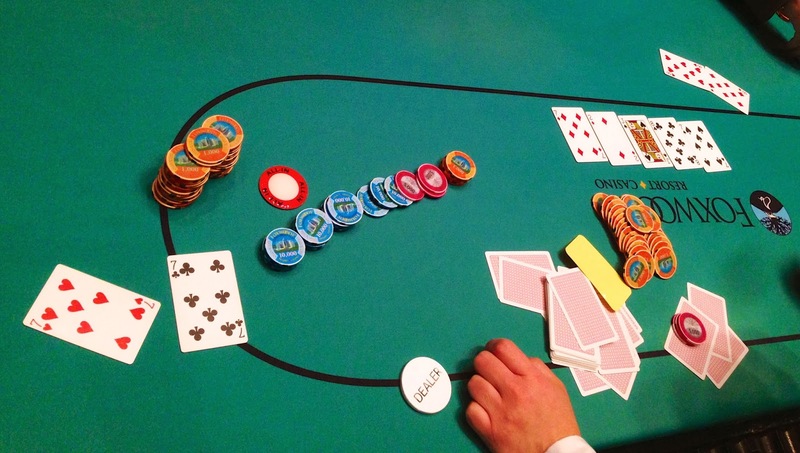 Play has come to an end on Day 1 of the $300 No-Limit Hold 'em Mega Stack Challenge. There were 555 total entrants in today's event and 36 will advance to Day 2. Play will resume at noon tomorrow. The blinds tomorrow will start at 8,000-16,000 with a 2,000 ante. With 36 players remaining, the average chip stack is now just over 231,000. We will be live streaming all of the action tomorrow on FoxwoodsLive.com. Full chip counts and seat assignments will be posted shortly.